Compared with smartphones, small drones that are not honored with weight and size were announced from China’s “Zero Tech”. It is the biggest feature of Dobby, but this drone can hold wings inside the main body. Because of that, usually in such a form, the size is also small, you can just pocket it. This is compact! It is! Even compared to mobile phones like this! It is very small. Or is it lighter than the iPhone? The most important thing to skip drones in Japan is the “Aeronautics Law” determined by the Ministry of Land, Infrastructure and Transport. Especially if you are a Dobby, you can enjoy taking pictures easily without being affected by the location and conditions of the aerial law. You can enjoy self-taking and aerial shooting without hesitation even at the destination. In addition, since it is dedicated to Selphy (self-portrait), I am stuck with the camera. Operation is from smartphone and it is OK! It is longer than that because the average time of the ultra compact drones is about 5 minutes. If you have several spare batteries, I think that you can use it even on a trip. Charging the battery is the same shape as smartphone. 『Perhaps this camera performance is not the strongest class in this weight? Just like DJI ‘s Phantom 4’ s active track function, if you recognize the subject, we will have a function that automatically tracks you. Just tap the subject with a smartphone will come with a drone. It is now available for purchase on Amazon. This cost performance is amazing at less than 200 g outside legal regulation. What I felt watching this video reminded me of the fact that smartphones, such as the iPhone, came in in Japan. In those days, it would have been thought that everyone thought that smash was not popular, but now most people have used smartphones. I think that those who are not interested in drones also will be widely recognized for general people by this price, compactness, and ease. You can understand if you see the promotion movie below, but the image you are using is also very easy to imagine for the general public. Since the technology has advanced so far at this stage, in the next few years the acceleration and compactness is lighter and the safety has improved dramatically. And I think that the design will be refined like a smartphone. Coming so far is really getting closer to the SF world like back to the future. What will happen if AI (Artificial Intelligence) evolution is also added here? Although it feels a bit scary, I feel that the evolution of the times and the evolution of technology are accelerating steadily. Not only drone, I feel the evolution of the future. 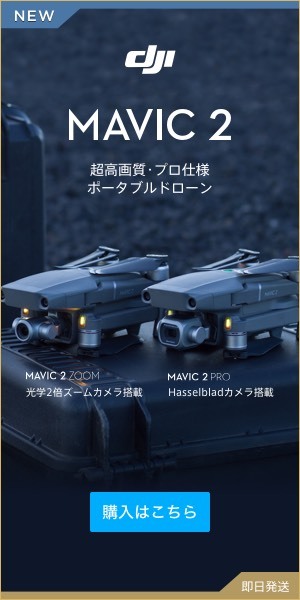 Although it is not a drone below 200 g, “GO PRO” and “DJI” are releasing small and high performance drones more and more. This is innovative! Parrot's new work "Swing" makes Star Wars X wing too!